* How much money is available, either from cash reserves or through a home improvement loan, to remodel your current house? * Are there affordable properties for sale that would satisfy your changing housing needs? * Is the surrounding neighborhood or the home itself the most important consideration? * Is each of the neighborhoods safe? * Is quality of the schools an issue? * Do any of the areas seem to attract more families with children or adult residents? And where do you fit in? As for the return on your investment, home-price appreciation is hard to predict. In the late 1980s, and again 10 years later, the more expensive move-up housing appreciated wildly. But during the recession that followed, smaller homes tended to hold their value better than more expensive ones. "For some people, owning a home is a great feeling," writes Mitchell A. 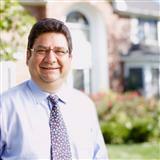 Levy in his book, "Home Ownership: The American Myth," Myth Breakers Press, Cupertino, Calif.; 1993. "It does, however, have a price. Besides the maintenance headache, the amount of after-tax money paid to the lender is usually greater than the amount of money otherwise paid in rent," Levy concludes. As for evaluating the risk associated with home ownership, David T. Schumacher and Erik Page Bucy write in their book "The Buy & Hold Real Estate Strategy," John Wiley & Sons, New York; 1992, that "good property located in growth areas should be regarded as an investment as opposed to a speculation or gamble." The authors recommend that prospective buyers spend a few months investigating a community. Many people make the mistake of buying in the wrong area. "Just because certain properties are high-priced doesn't necessarily mean they have some inherent advantage," the authors write. "One property may cost more than another today, but will it still be worth more down the line?" Sellers also are required to indicate any significant defects or malfunctions existing in the home's major systems. A checklist specifies interior and exterior walls, ceilings, roof, insulation, windows, fences, driveway, sidewalks, floors, doors, foundation, as well as the electrical and plumbing systems. The form also asks sellers to note the presence of environmental hazards, walls or fences shared with adjoining landowners, any encroachments or easements, room additions or repairs made without the necessary permits or not in compliance with building codes, zoning violations, citations against the property and lawsuits against the seller affecting the property. Also look for, or ask about, settling, sliding or soil problems, flooding or drainage problems and any major damage resulting from earthquakes, floods or landslides. This is a one-stop real estate website for all your home buying and selling needs in Saint Louis, MO, MO.